The Iran nuclear deal is a top trend on Twitter today, and so was "Death to America," at least for a brief time this morning. The historic deal between longtime enemies has been the talk of social media all day. Critics of the deal, which President Barack Obama staunchly supports, took to Twitter to post their outrage, claiming it brings the Persian Gulf nation closer to having a nuclear weapon and endangers Israel. 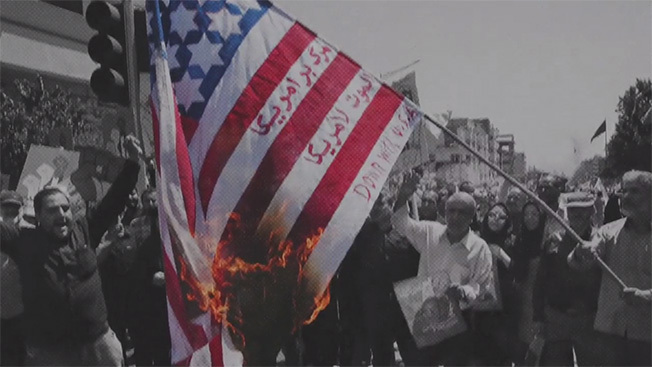 One of the more common talking points is that while the U.S. and its allies want peace with Iran, crowds still spew anti-American vitriol in the streets of Tehran. That argument helped propel "Death to America" to a prominent position on Twitter; it seemed to mostly be coming from critics of the deal in the U.S. and wasn't necessarily a general sentiment among Twitter users. But when it suddenly dropped off the list of trending topics, it was unclear if it was intentionally removed or just stopped being a popular term. Twitter did not return a request for comment. One of Twitter's big efforts of late is to get a handle on the worst types of speech on the site and extinguish extremist sentiments.